How would you like to drive your classic sports car the way you’ve always wished you could? We’re talking about curvy roads, breathtaking scenery, and a team of support staff at the ready should anything go wrong. You'll join the editors of Classic Motorsports and tackle this amazing adventure with a small group of interesting, like-minded enthusiasts and their amazing cars (strict limit of 25 vehicles). 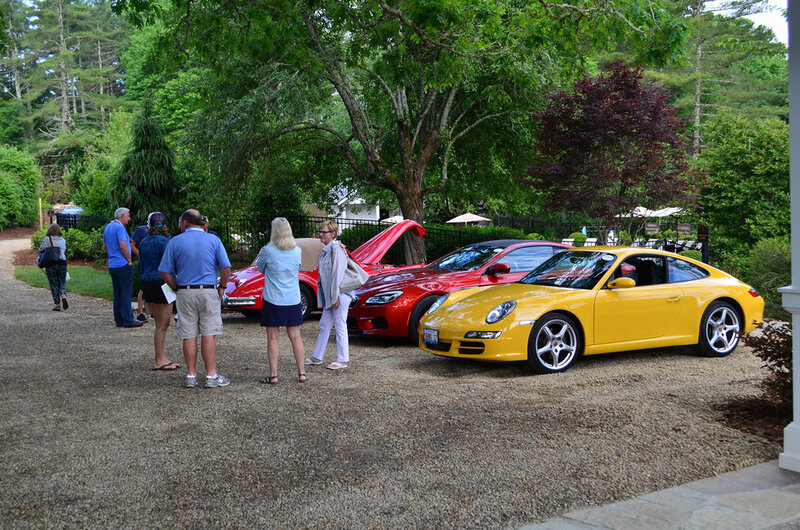 Think of this hub tour as a summer camp for classic car enthusiasts! 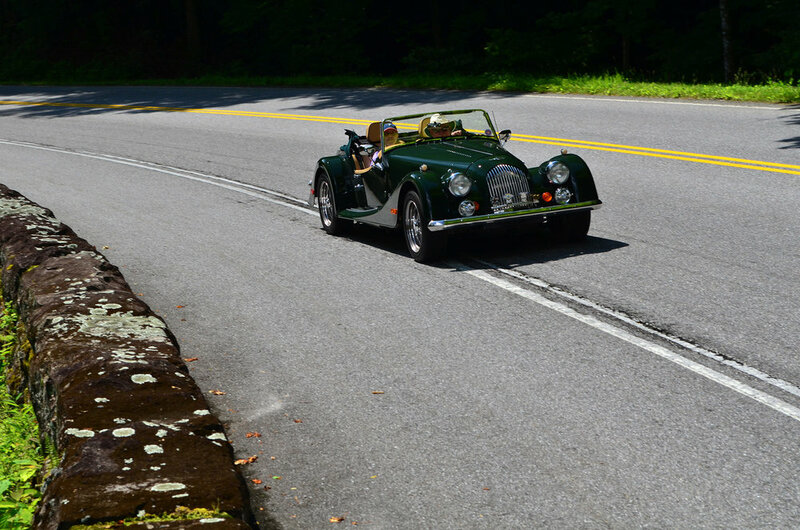 You'll drive roads like the Blue Ridge Parkway and the Tail of the Dragon. You'll travel through towns like Cashiers, North Carolina, Dilliard, Georgia and Townsend, Tennessee. And you'll experience Porsche’s amazing Atlanta facility. Worried about the details? Don't: That's where we come in. From start to finish, our trained staff will transport your luggage, accommodate any special requests, and even take your selfies if you'd prefer. You'll also have the undivided attention of our team of expert mechanics, just in case your car has any mechanical issues or needs a tow. Backing them up is a fleet of sports cars, which you're welcome to drive if your car can't be quickly fixed. Starts and ends in Atlanta, Georgia, Then the quaint mountain town of Highlands, North Carolina will be our home base for this hub tour. All lodging, meals (except dinner on Wednesday) and attractions included. Visit our frequently asked questions or call (386) 239-0523. Don't worry, we'll never share or spam your address. We’ll be in touch shortly to answer any questions you have and walk you through the registration process. It's tough to park a trailer or land an airplane in Highlands, so we start at the luxurious Chateau Elan in Atlanta. We’ll get everyone checked in, then have dinner and hand out welcome gifts. After a relaxing breakfast at the hotel, we’ll enjoy lunch in beautiful Helen, Georgia. After lunch we’ll point our cars north to climb the scenic, winding road to Highlands North Carolina. Today also will also feature a special stop along the way at Atlanta Motorsports Park, where we’ll get to drive our cars on the beautiful race track. Our staff will place your luggage in your hotel room before you arrive in Highlands. After breakfast, we’ll travel through the Nantahala National Forest and Great Smoky Mountains National Park on our way to lunch in Townsend, Tennessee. Then, we’ll drive the famous Tail of the Dragon, a stretch of road that packs 318 curves into just 11 miles! Don't worry, though–after those 318 curves, we'll settle into a scenic route that traces the Nantahala River on our way to visit Fontana Dam, meaning beautiful sights and engaging driving. Listed on the National Register of Historic Places, Fontana Dam is also the tallest in the Eastern United States, and can best be described as the Hoover Dam, but with trees on either side. We'll end the evening with a gourmet dinner in Highlands and perhaps some time around the outdoor firepit before retiring to our rooms. Today's route will take us in a different direction: Rather than head north, we'll be pointing our cars south, eventually driving all the way to Northern Georgia's rugged Chattahoochee National Forest. Along the way, we'll enjoy a short hike to a picturesque waterfall, as well as a family-style southern feast for lunch. We'll then take twisty roads back to Highlands, where everybody will have an evening to themselves to choose their own adventures in this charming mountain resort town. Feel free to shop, dine, or explore more back roads, but don't hesitate to ask us for any suggestions. After we breakfast and say our goodbyes to Highlands, we will begin our trip south to return to Atlanta. Along the way are waterfalls and a stop at a unique car museum before we arrive back at the Porsche Experience Center for a late afternoon reception and dinner. Our staff will place your luggage in your hotel room before you arrive. © 2016 Motorsport Marketing. All rights reserved.